If you're a fan of relaxed dressing when it comes to your personal style, you'll love this stylish pairing of an olive corduroy blazer and a violet polka dot tie. 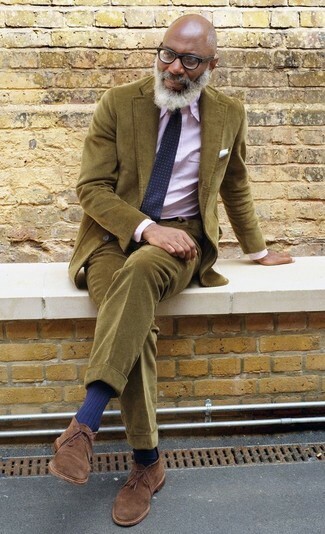 You could perhaps get a little creative in the shoe department and lift up your look with brown suede desert boots. 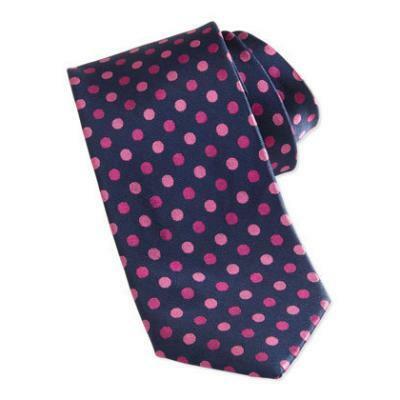 If you're all about relaxed dressing when it comes to fashion, you'll love this killer pairing of a blue blazer and a Burma Bibas Polka Dot Skinny Silk Tie Pink from Last Call by Neiman Marcus. 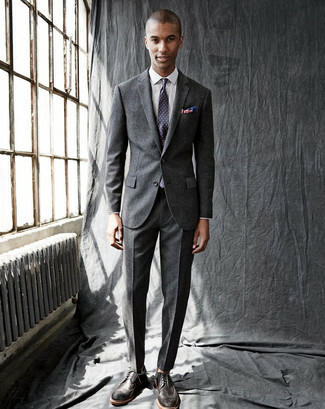 If you're after a casual yet on-trend ensemble, try pairing a charcoal wool suit with a Burma Bibas Polka Dot Skinny Silk Tie Pink. These garments are very comfortable and look great when worn together. Channel your inner Ryan Gosling and choose a pair of dark brown leather brogues to class up your getup.